RCF loses family member and VP, Mike McGraw. We are deeply saddened to report the sudden passing of Mike McGraw yesterday. Mike entered the financial services industry in 1983 as Sales Representative at London Life. 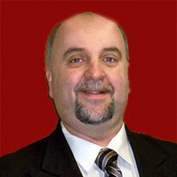 In 1988, Mike joined Canada Life as Managing Partner at the Regional Marketing Centre in New Brunswick. With financial designations including CFP, ChFC, & CLU, Mike was in charge of the recruitment, education and training of Financial Advisors. He was heavily involved in field support for Financial Advisors in the marketing and sales support of Retirement Compensation Arrangements (RCAs) for all of Atlantic Canada. Mike joined RcF in 2004 as VP & Partner. With his rich experience and knowledge in the financial services industry, Mike overlooked distribution activity in all of the Atlantic Provinces. He also provides support to the advisors, accountants, and tax/estate planners in the region. In addition to being a partner at RcF for Atlantic Canada, he is also a partner of IDC Financial Atlantic Inc, a national Managing General Agency (MGA) providing access to financial products and services to Independent Financial Advisors. IDC has offices across Canada including Toronto, Mississauga, Halifax and Saint John among others. As well, he is the Vice President of the Saint John Sea Dogs, and a owner of Red Rose Developments, a property development company. In the community, Mike began early by coaching hockey including Bantam AAA for 9 years and various other teams and volunteered or chaired many sporting events over the years in the city. He has combined his passion for the city, sports and business by being involved with the Sea Dogs, working with the Atlantica Centre for the Arts, and helping create the “Arts for Everyone Foundation”. The Foundation helps people in the Saint John area to enroll in various arts programming regardless of financial abilities. Mike was the past President of Uptown Saint John, and was a Director on the Saint John Waterfront Development Board. He has been a director on various committees in Saint John over the years. His family has requested privacy at this time.